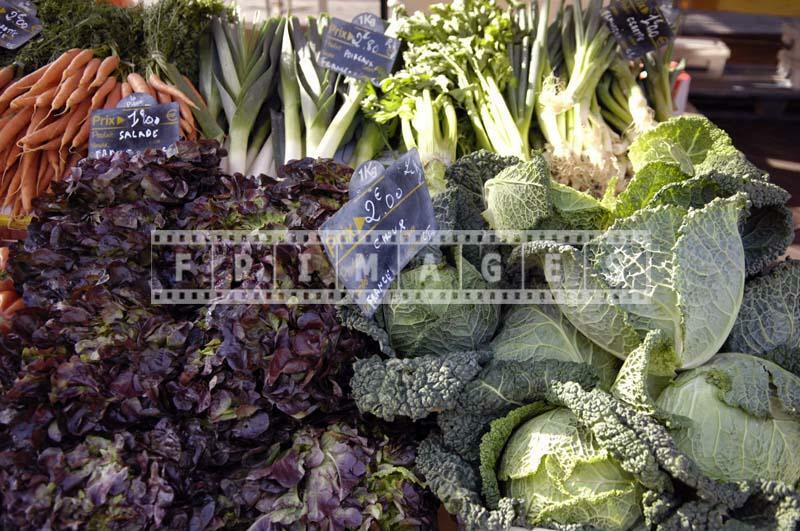 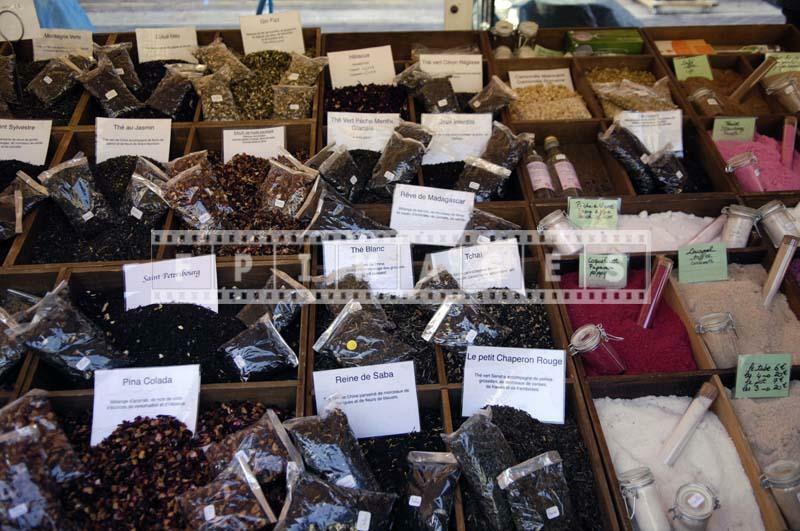 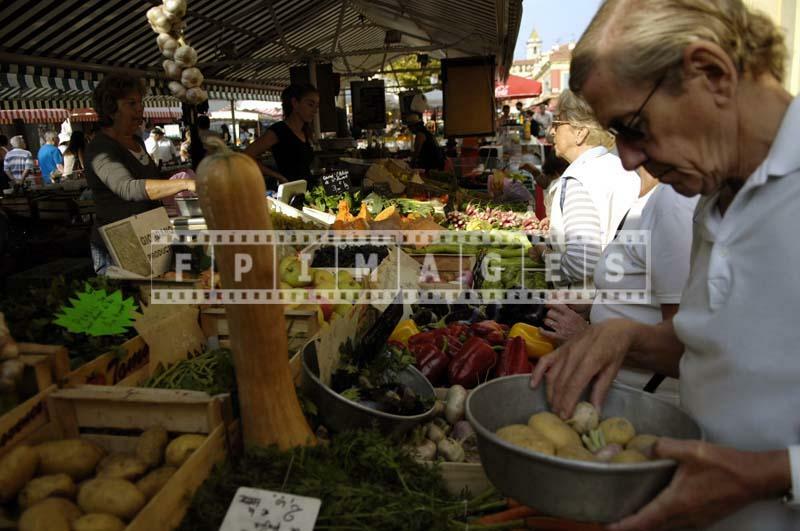 Farmer’s market on Cours Saleya in Nice offers a variety of products and traditional French foods – flowers, plants, fresh produce, fine cheeses and meats. 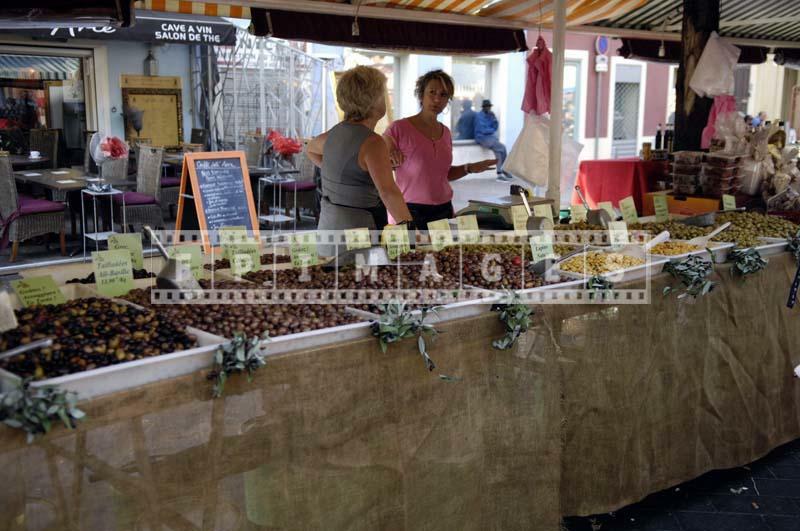 There are vendors of traditional Provence items – lavender and lavender oil, soaps, perfume; olives and olive oil from certified regions. 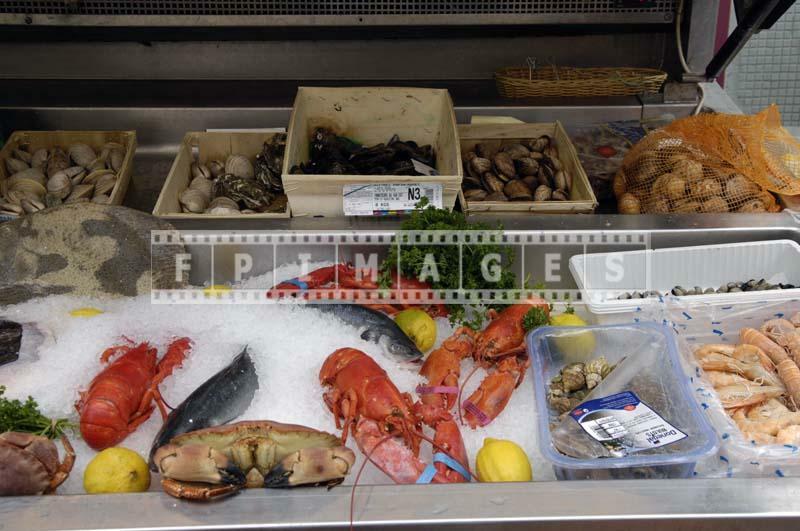 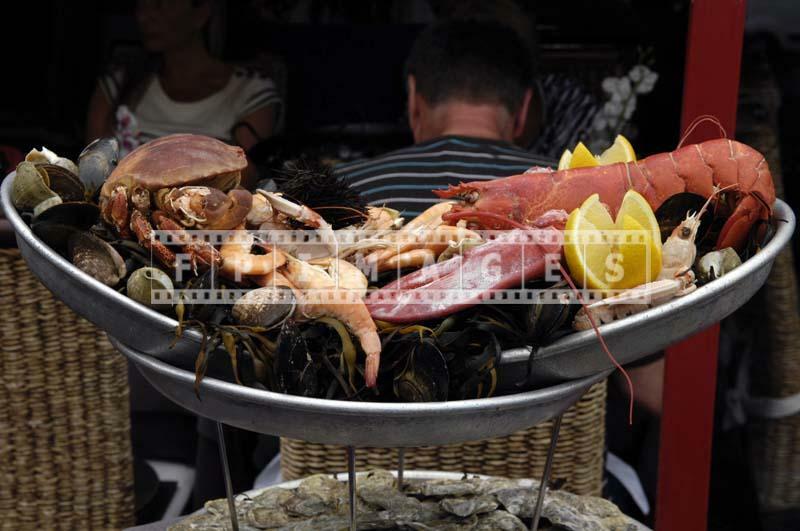 You can find freshest seafood – shellfish, lobster, crab, shrimp or taste it in numerous restaurants. 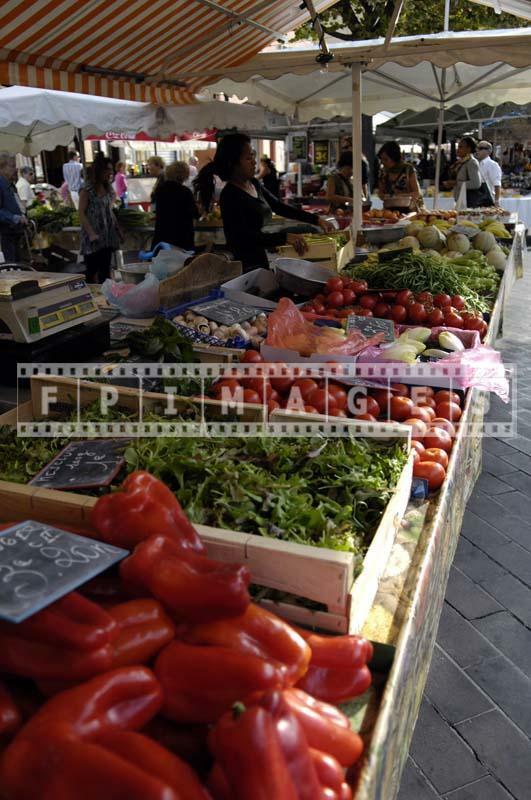 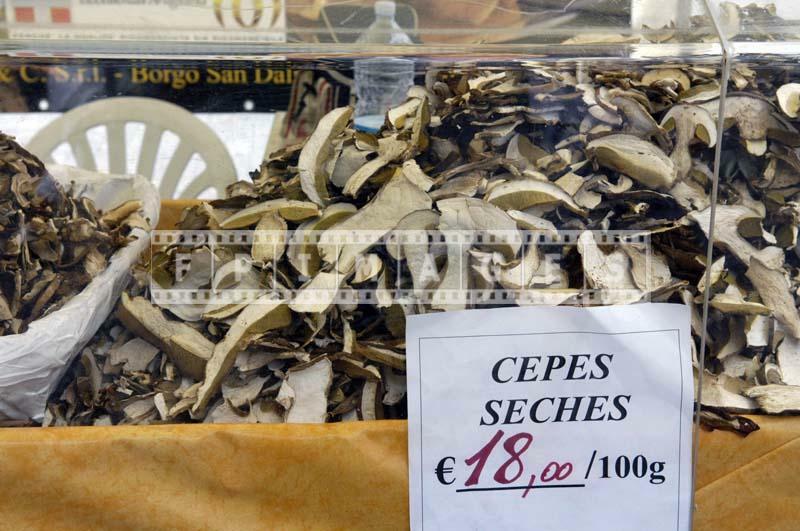 Cours Saleya farmer market is a place to visit. 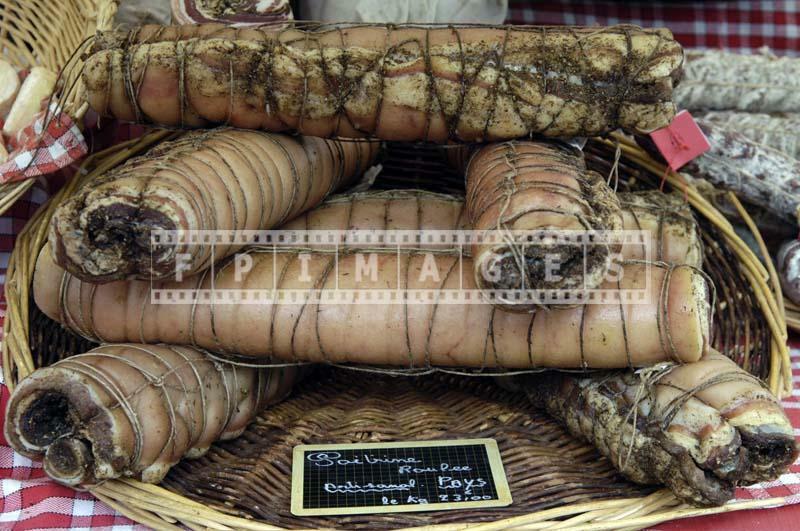 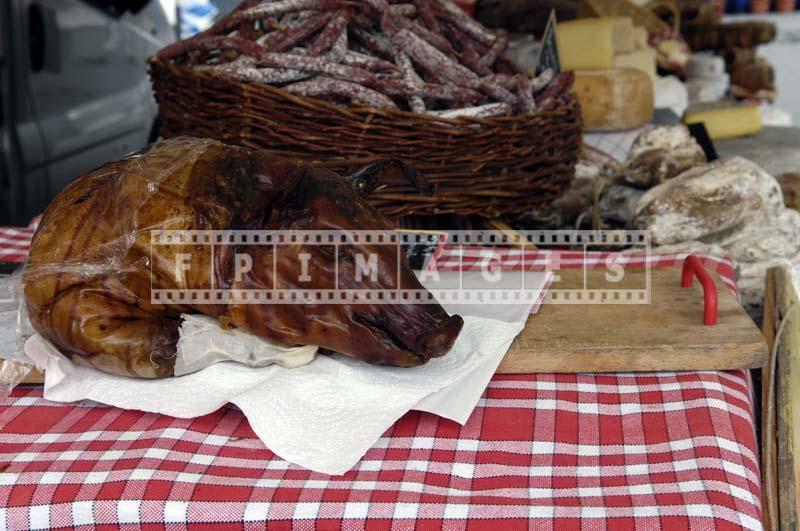 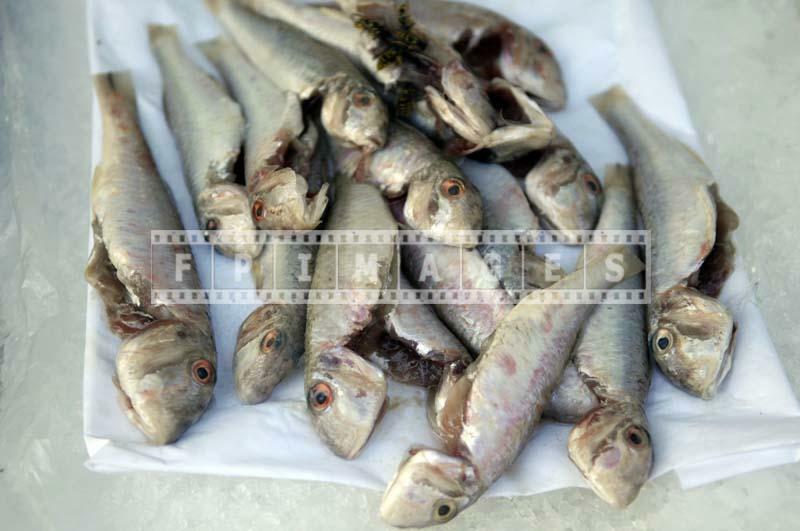 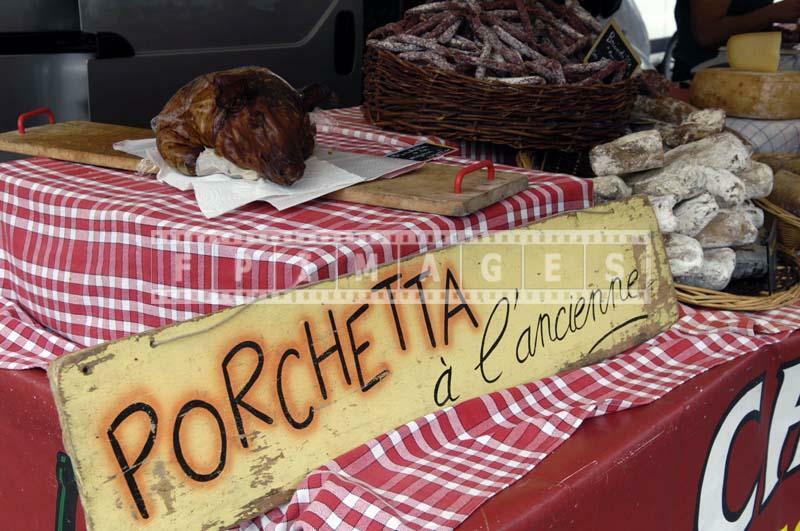 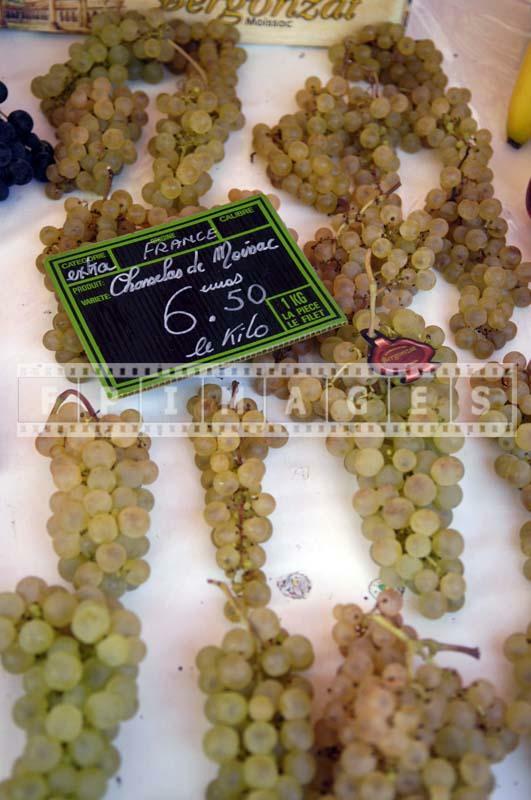 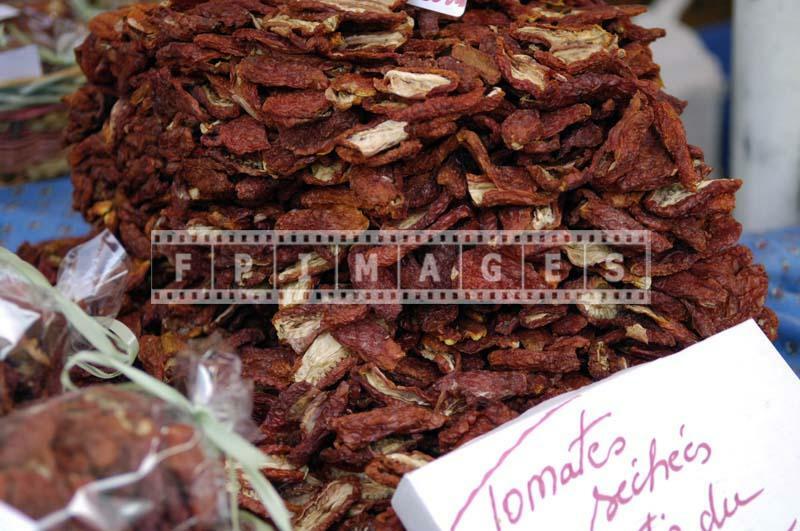 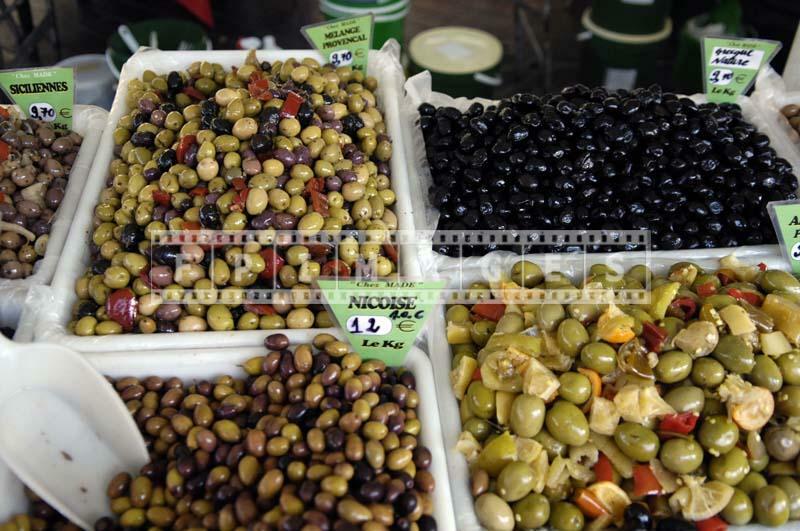 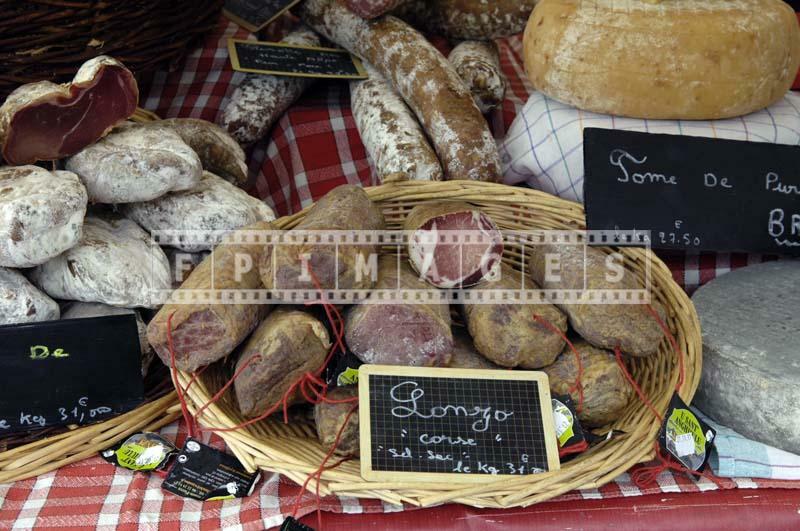 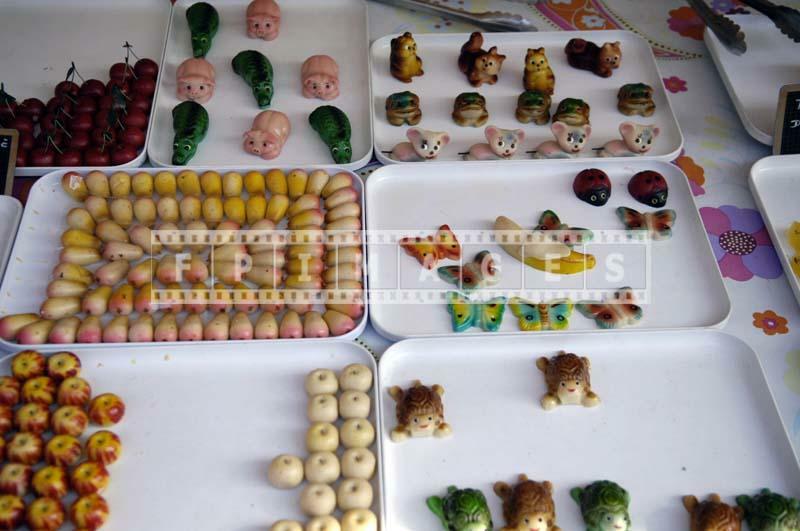 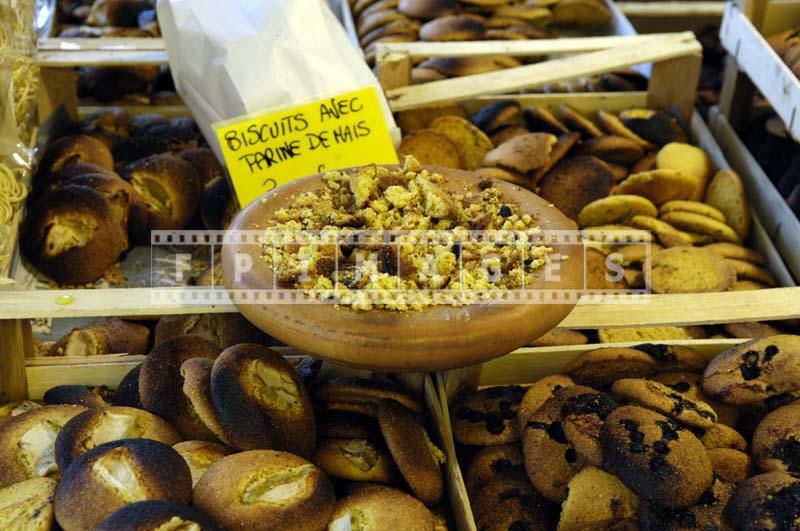 Taste traditional French food and take great food pictures at this market. 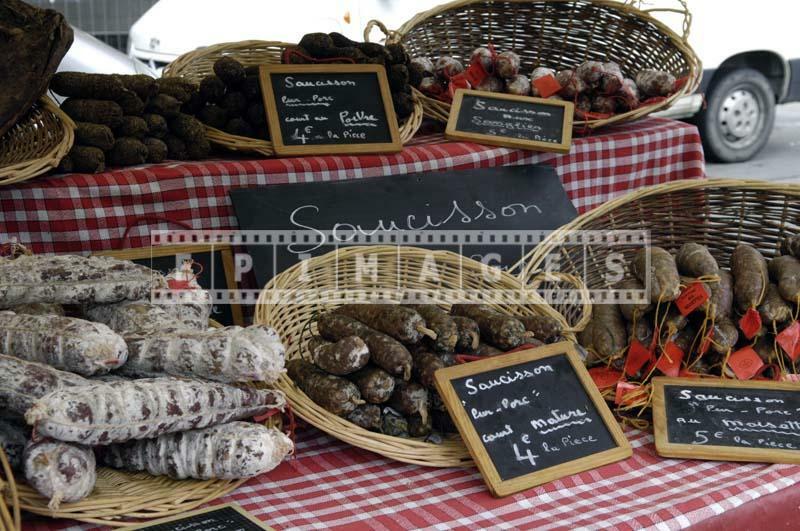 This is meat lovers paradise too with a large selection of finely smoked meats, sausages and rolls. 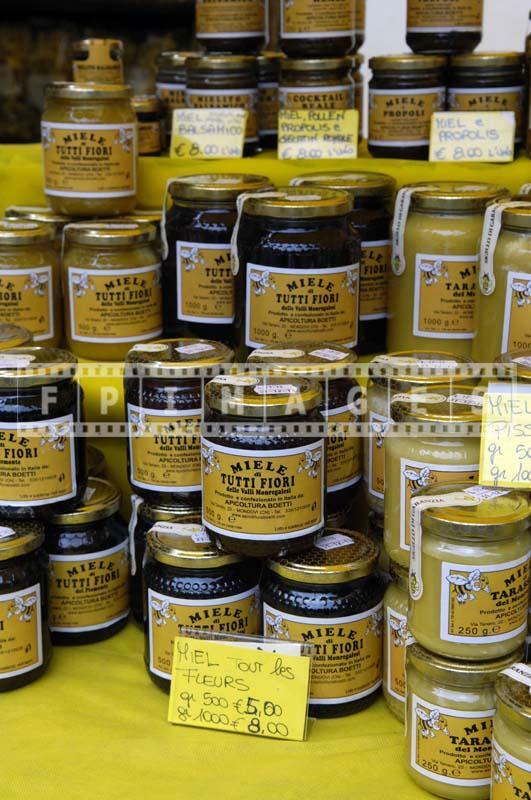 These delicious products come from nearby villages and towns of South of France, Italy and even Corsica. 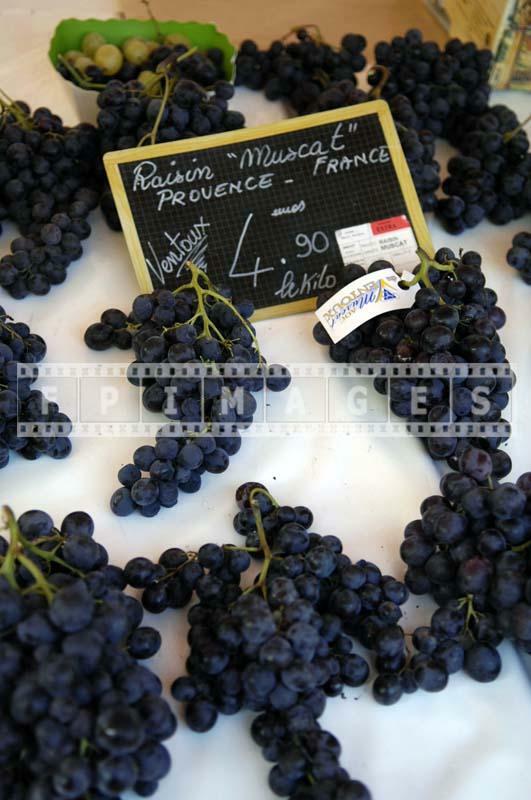 Vendors are very friendly and offer free tastings of their masterpieces. 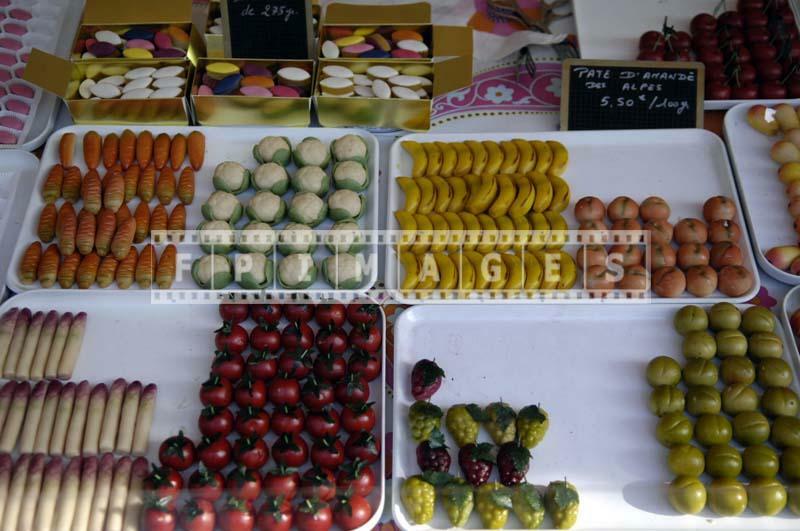 For those craving a sweet Cours Saleya market has the best of Provence – brightly colored marzipan candy, honey, pastries and cookies, candied fruit and fantastic candied flowers, jams and confitures. 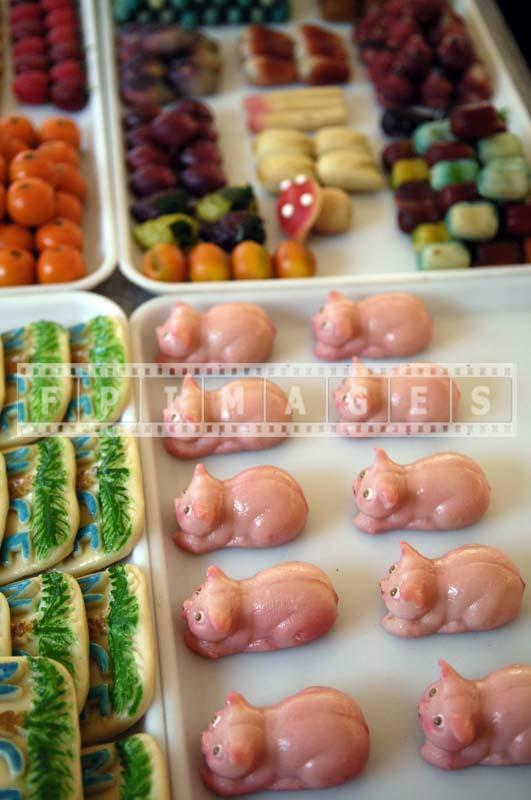 All of this looks so good in food pictures. 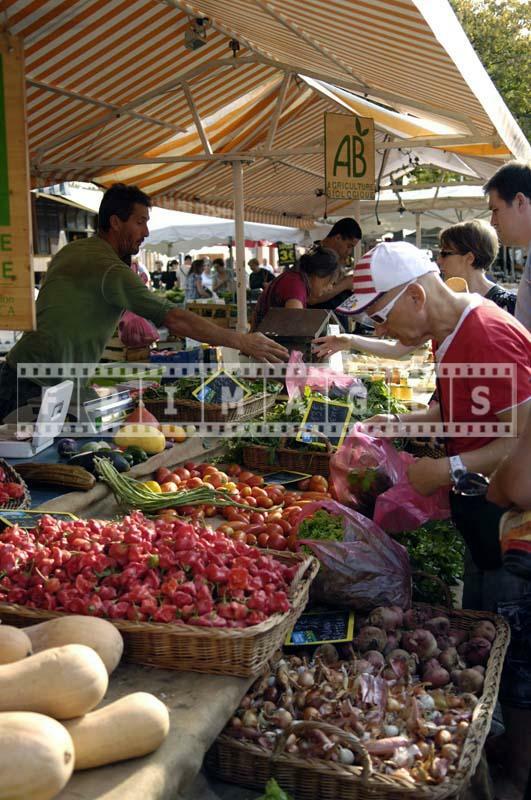 Healthy choice is great as well: fresh local produce is amazing – peppers, tomatoes, mesclun, olives. 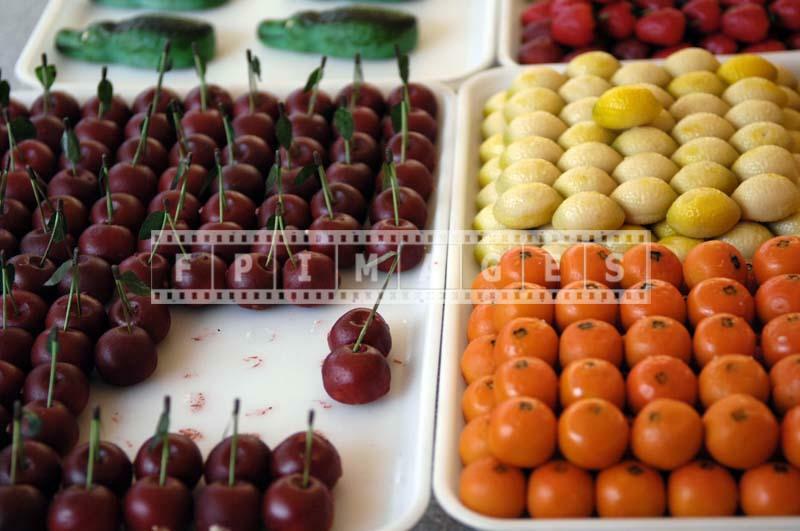 Fresh fruit is abundant, as well as sun dried vegetables. 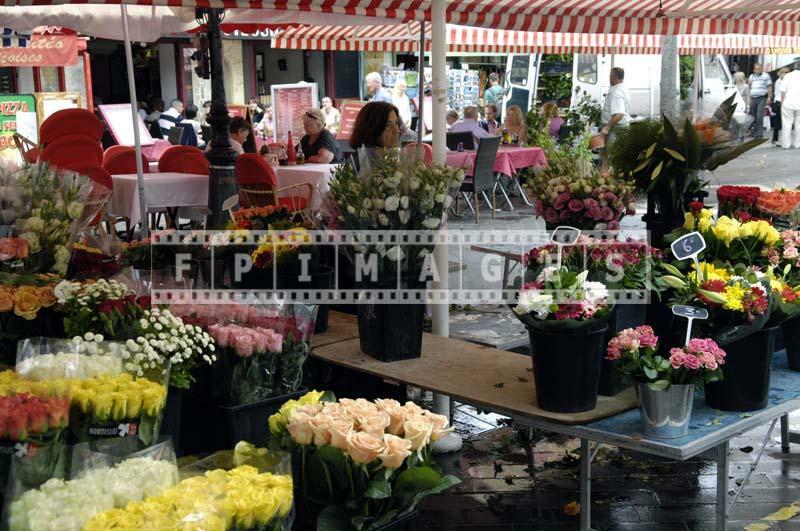 Flowers are dedicated special area of the market and are a real delight. 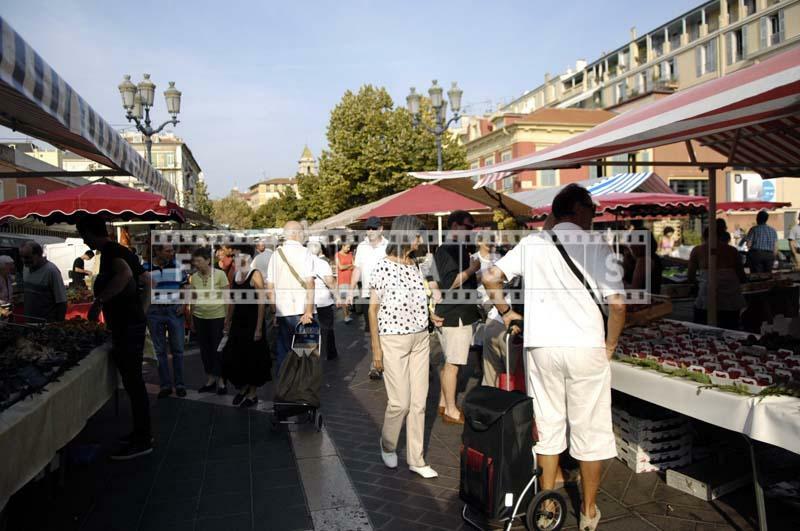 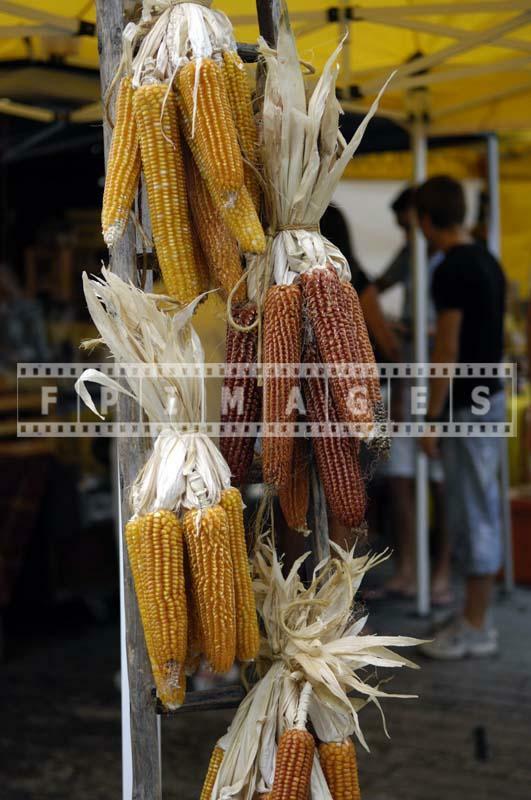 The farmers market is easy to find in old part of Nice and it is completely pedestrian. 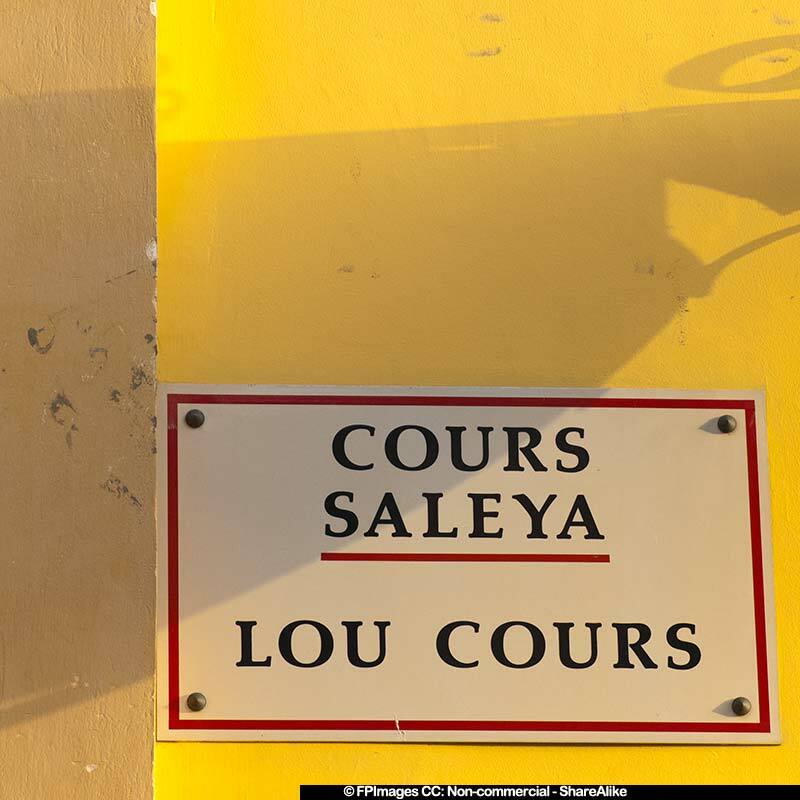 It is best to arrive in the morning when there are not that many visitors. 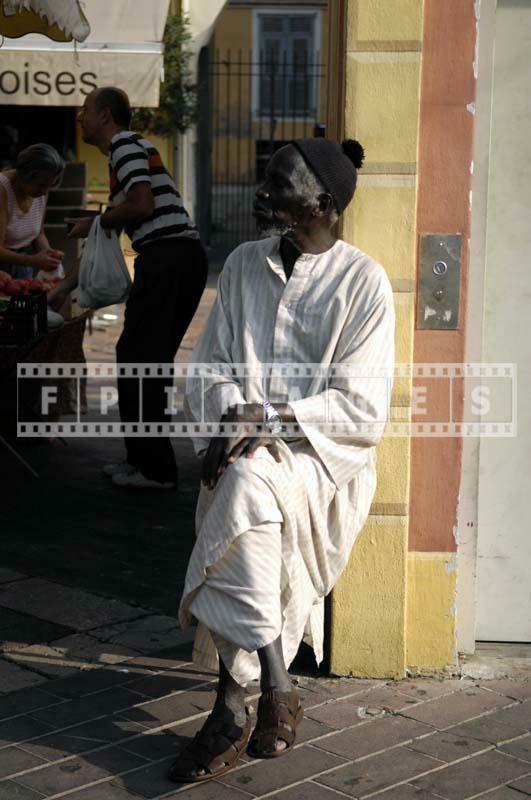 Also morning light would be perfect for taking some colorful pictures, watching people go by and simply relaxing and sipping some coffee.